I love limited ingredient recipes. Partly because I just think it’s fun to see how only a few ingredients can turn into something amazing, and partly because I like how little they cost! Think about it- if you can make the perfect sandwich bread with just 2 ingredients instead of 6, that’s 4 ingredients worth of money you’re saving. 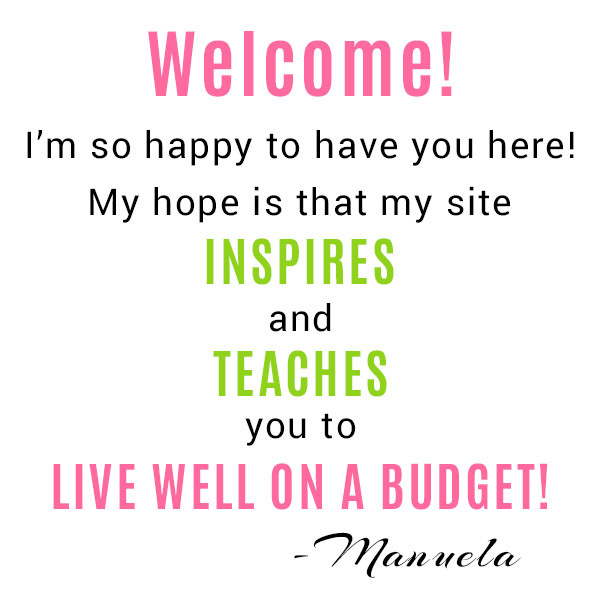 And those little savings add up! 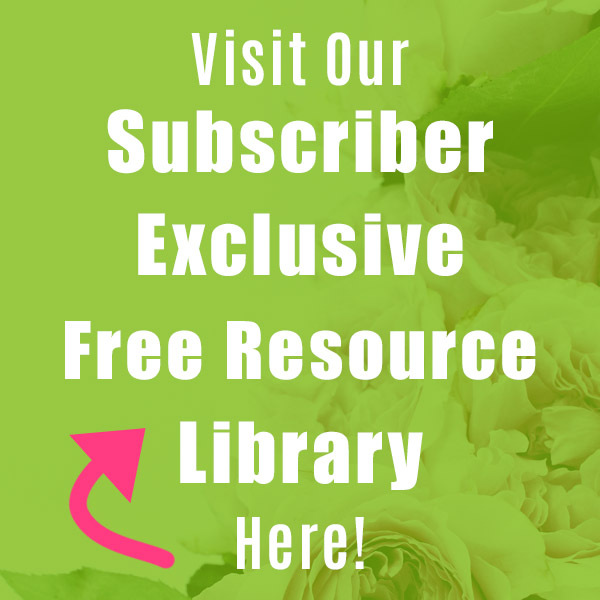 And on top of the money saving benefits of limited ingredient foods, they also save you time. Mixing just a few things together never involves as many steps as mixing a bunch of stuff together. 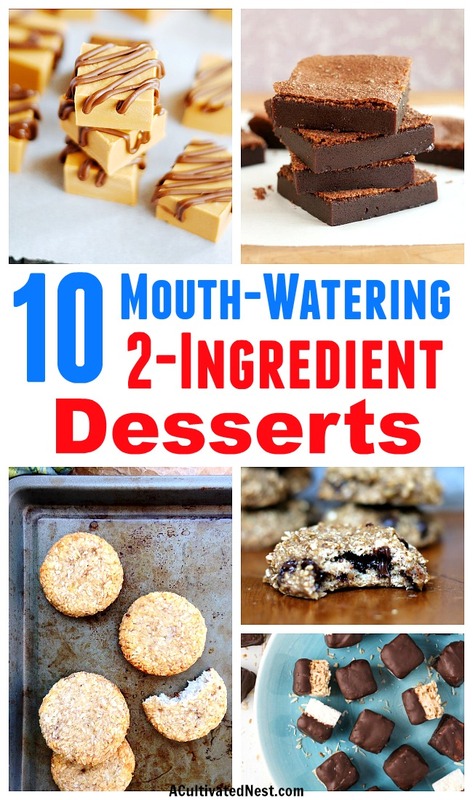 If you’re curious what you can make with only a few ingredients, you’ll love these 10 Mouth-Watering 2-Ingredient Desserts! It doesn’t sound true, but it is- all you need are 2 ingredients to make a delicious dessert! Of course, a 2-ingredient treat will never have the complex flavor profile of a more complicated dessert. But when all you want is something sweet and delicious, and you want it now, you don’t care about that. 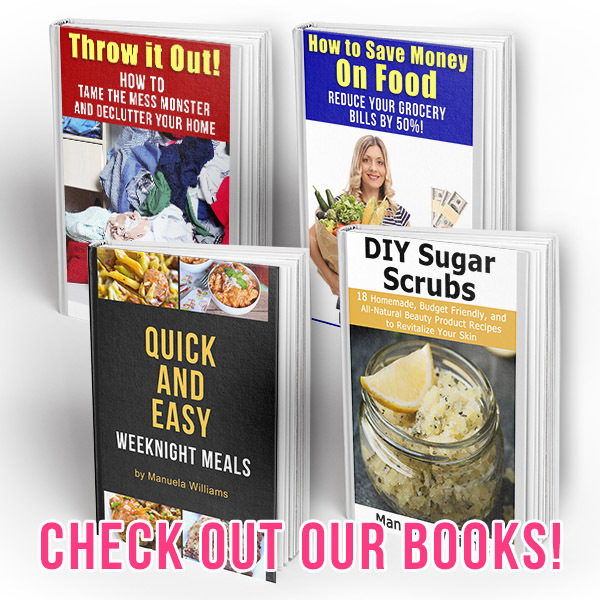 Save the Gordon Ramsay style desserts for another time, and instead satisfy your sweet tooth in a jiffy with these awesome 2-ingredient desserts! These 2-ingredient desserts are literally only made with 2 ingredients. 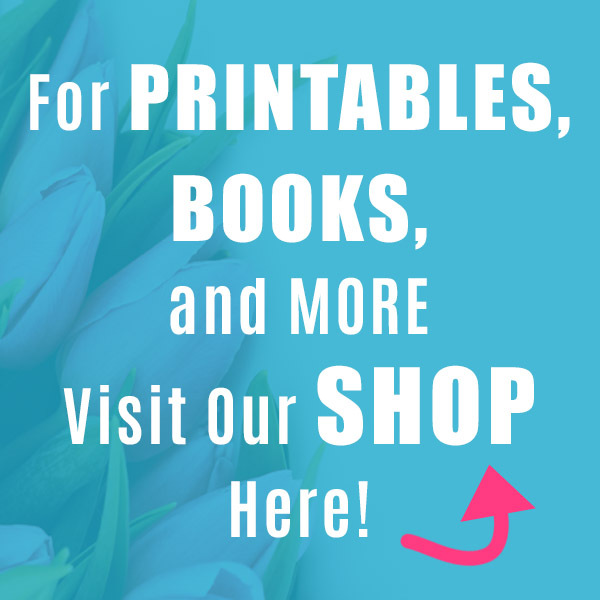 You won’t find any here that use cake mix or commercial dough. But don’t worry, you really only need 2 simple ingredients to make a delicious dessert! That’s right, all you need are 2 ingredients to make these absolutely delectable Nutella brownies! What are you waiting for? 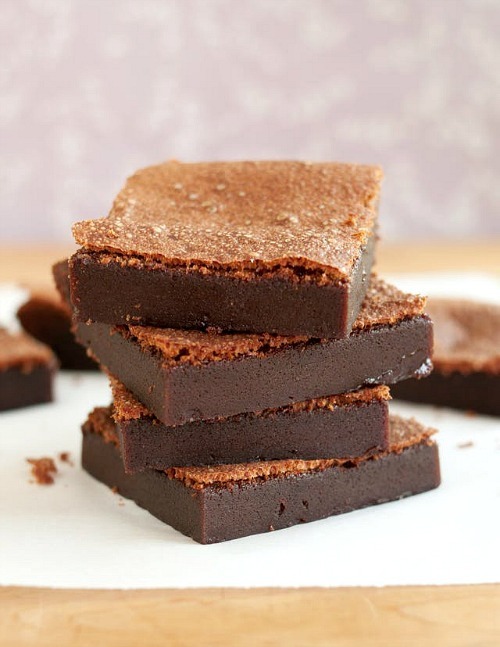 Head on over to The Kitchn to figure out how to bake these awesome Nutella brownies! I came across several two-ingredient cookie recipes during my search, but this one was something special! I’d suggest using sweetened coconut, as I find a lack of sweetness tends to be my only problem with 2-ingredient cookies like this one. 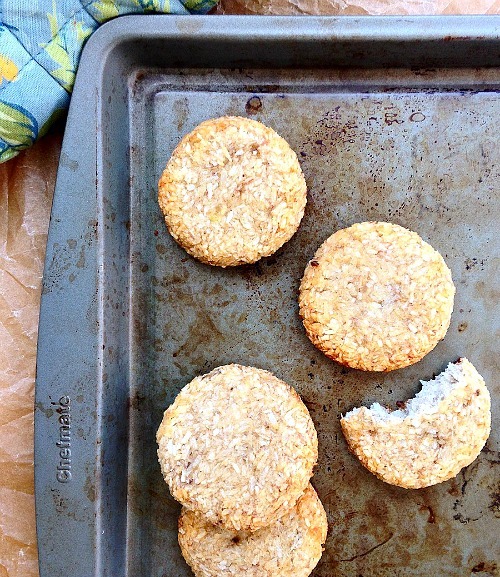 Go to Fresh Planet Flavor for the banana coconut cookies recipe! Love fudge? It’s really easy to make! 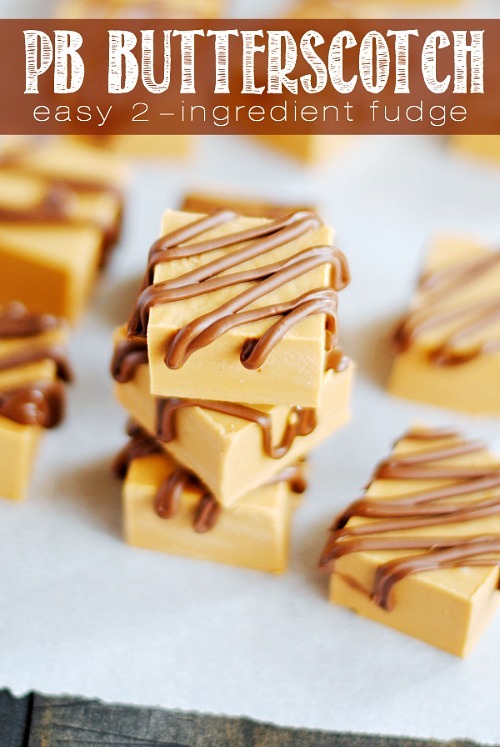 Take a look at how Something Swanky made this peanut butter butterscotch fudge with only two-ingredients! Obviously, anything with Nutella is going to be awesome. 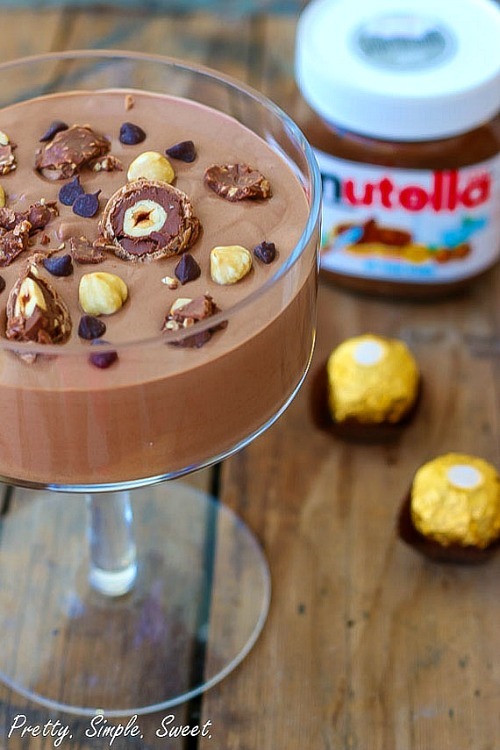 Pretty Simple Sweet explains how to make Nutella mousse with only two-ingredients! I love macaroons, and the fact that these only take 2 ingredients means I can make them all the time! 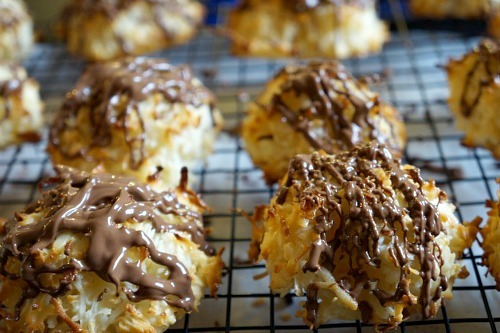 If you love coconut macaroons too, check out Yummy Medley’s recipe! 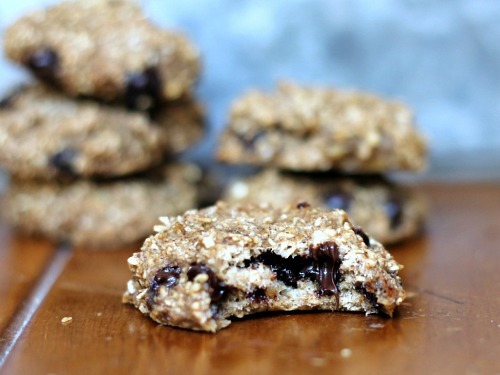 These delicious two-ingredient banana oat cookies are so healthy, you can have them for breakfast! For added sweetness and a little more flavor, I like to add chocolate chips to mine, but that’s totally optional. 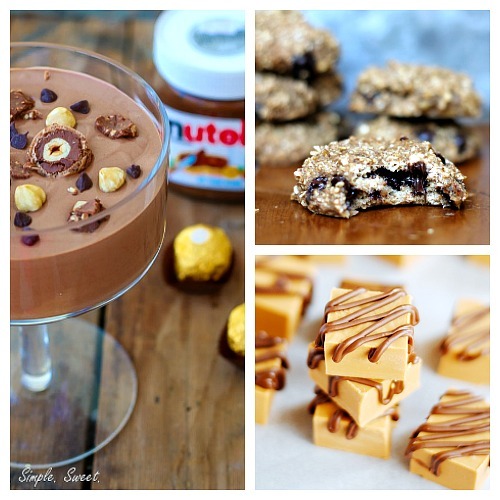 Head on over to Ambitious Kitchen for the recipe! Sorbet is crazy easy to make, and the end result can be pretty healthy when you make it yourself. 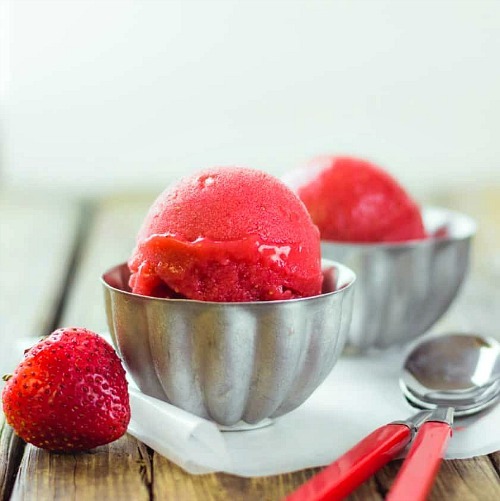 Take a look at how Eat Healthy Eat Happy made this two-ingredient strawberry sorbet! If you love coconut, you have to try this two-ingredient dessert recipe! 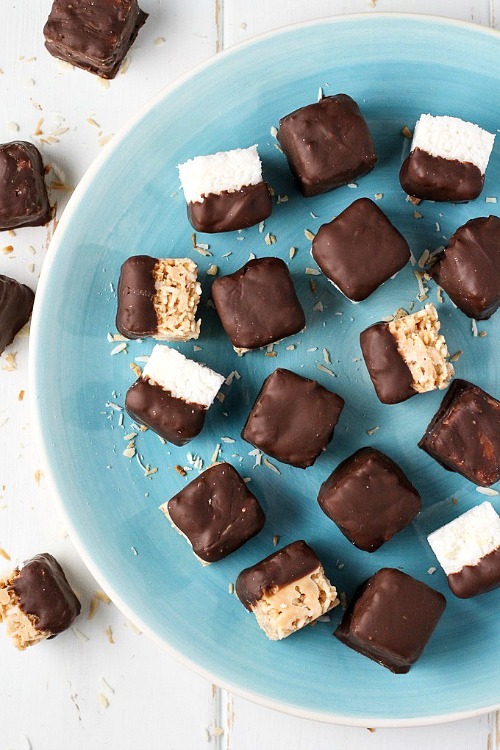 Check out these coconut bites from Maria Ushakova! You only need 2 ingredients to make this ice cream, and no ice cream machine is needed! Brit + Co explains how to easily put together your own banana chocolate ice cream using only two ingredients! I can’t believe I haven’t tried this dessert bread yet! I’ve heard these are best with regular full-fat, full-sugar ice creams, and I’m sure those snazzy Ben & Jerry’s flavors make for a delicious bread. 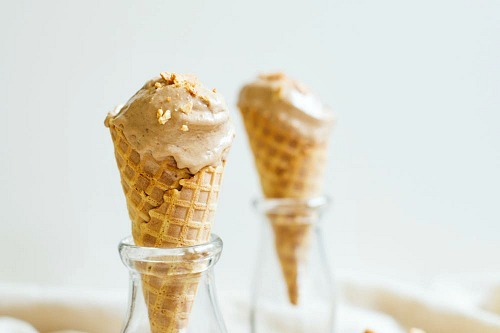 But I think it’d be worth it to try to make it with a dairy-free ice cream, too (like maybe a coconut milk one). 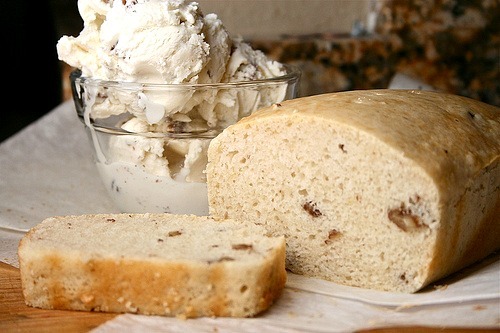 Check out The Hungry Housewife’s recipe for this easy two-ingredient ice cream bread! Isn’t it amazing all the different sweet treats you can make with only two ingredients? Definitely give these a try the next time you want to make a dessert, but are watching your food budget. These would make great budget-friendly party desserts, too! Which of these two-ingredient desserts is your favorite?